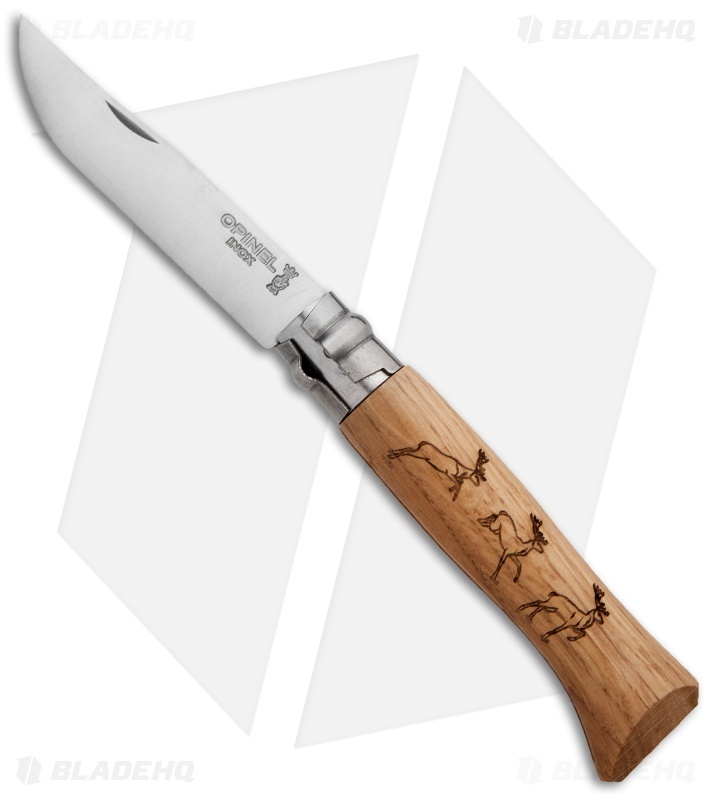 This Opinel #8 folder has a stainless steel blade and Beech wood handle. Artistically engraved deer bounding to a stop on the handle. 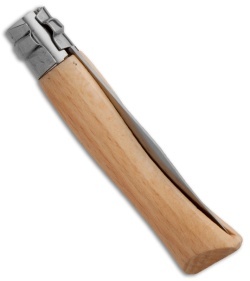 Includes the Virobloc safety ring that locks the blade in the open and closed positions. This traditional Opinel pocket knife is lightweight and inexpensive while displaying simple sophistication.